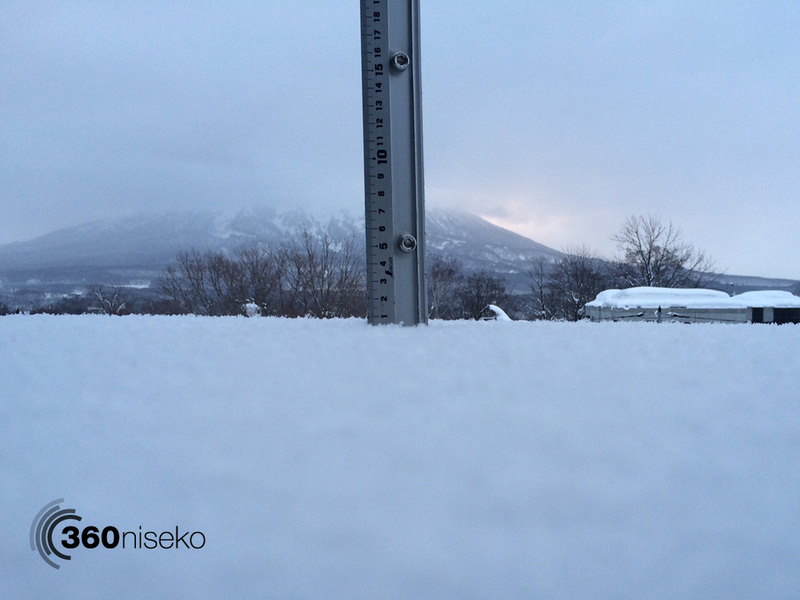 *.5cm of fresh snow has fallen in the last 24hrs in Hirafu Village. At 7:00 today the temperature was -8°C. Presently very light with just a dusting of snowfall overnight. There is no wind at present so conditions should be great on the groomed runs this morning. Snowfall is predicted throughout the day. For those eager looking for fresh tracks now is the time to contact a local guiding company and get out there and explore the backcountry. We have just reached the 10 meter mark for accumulative snowfall for the 2013-2014 season – 1000cm!! !